The media has made it sound like steelhead fishing is terrible on the Clearwater River. 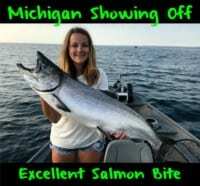 While fishing isn’t as stellar as it’s been in recent years it is nowhere near as bad as the various media outlets portray it. Keep in mind, the latest projections from Idaho Fish & Game slate roughly 15,000-hatchery steelhead to return to the Clearwater this fall. Add that to another 4,000 wild fish expected to swim around in the river and that’s a lot of steelhead. 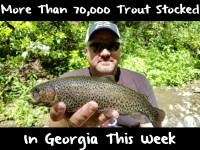 Think about it, 19,000 steelhead in one river is a lot. Last year, we had 29,000 total (wild and hatchery). Historically, on Idaho’s Clearwater River it’s been easy to catch 10 steelhead a day. And, multiple days we catch 20. This has been the case for the last 15 years. This year, meanwhile, things are a little different. Numbers are a little down, but compared to many of the fisheries in the Northwest, it’s still tough to beat the Clearwater’s numbers. This winter, we are averaging about 6-7 fish per day, per boat. We’ve had a few days that our boats have caught 20 fish, however. On the other hand, in year’s previous we’d turn in 30-40 days of 20-plus fish per day, but this year it’s only been a few. Between all our boats we’ve only had four days with 20 or more steelhead caught. We’ve had great water conditions and stable weather. Everything is good, except the number of fish caught has declined. Even though our numbers are down, size remains. The average fish is about 12 pounds. Everyday we turn in a fish between 15-18 pounds. It’s really hard to get a steelhead over 20 pounds these days, though. There really aren’t as many as they used to be. Our company (Reel Time Fishing) tends to have a good gauge on fishing. We run as many as six boats a day, but on most days we run two to four boats. We are always monitoring the river and know where the fish are. 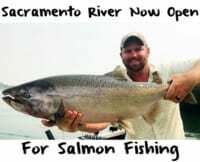 A little background on the Clearwater for those of you who are from distant areas; the reason why fishing is so good is because the Dworshack National Fish Hatchery in Orofino, Idaho, is the largest steelhead hatchery in the world. And, there are at least four more hatcheries that put steelhead in our river. There’s a lot of stocked steelhead here. Therefore, while our numbers might be down, they are still massive. For the first third of the steelhead season (October & November) we are targeting passing through steelhead. These fish tend to be in traveling lanes, basically in shallow, fast water. At that time the deep holes don’t seem to hold the steelhead. These steelhead are noted as A and B Run fish. The B-Run are Idaho’s famous big steelhead. During the second third, which is December and January, things change. Now we get holding and staging fish. The water gets cold. They spend the winter in the river. We find these fish in the slower and deeper water. They are just trying to hang out and rest. They might stay for weeks in the same spot. They don’t want to exert much energy. In February and March we get another push of fish. I call these the C Run fish. All three runs start to move into spawning areas in late February or March. This is when I’ll have some of my best days. The first third of the run most of the fish are caught on small presentations; mostly small Puff Balls and yarn and some clusters of eggs. We’ll use yarn and clusters like the size of a dime or a nickel. Early in the season we don’t use much scent. They’ll hit just about anything, but as the season progresses scent becomes important. Personally, I’ll use Pautzke Nectar, anise and shrimp oils on my yarn and eggs. The second third it starts to change. Steelhead starts to hit more eggs and the presentation we use increases. We’ll use bigger balls of yarn and bigger clusters. These baits are the size of a nickel or a quarter. When using yarn we always dunk it in Pautzke red Nectar. Everyday when I go out there I have eggs cured in pink BorX O Fire and and orange FireCure. Early in the steelhead season BorX O Fire works much better, but as the season progresses I switch to FireCure. I always have eggs cured in pink and orange FireCure on the boat.